PARIS - CIRCA NOVEMBER 2011: The Pyramid and Louvre museum of Paris, France circa November 2011. 4k00:05PARIS, FRANCE - CIRCA JULY 2017: View of famous Louvre Museum with Louvre Pyramid illuminated at night timelapse hyperlapse. 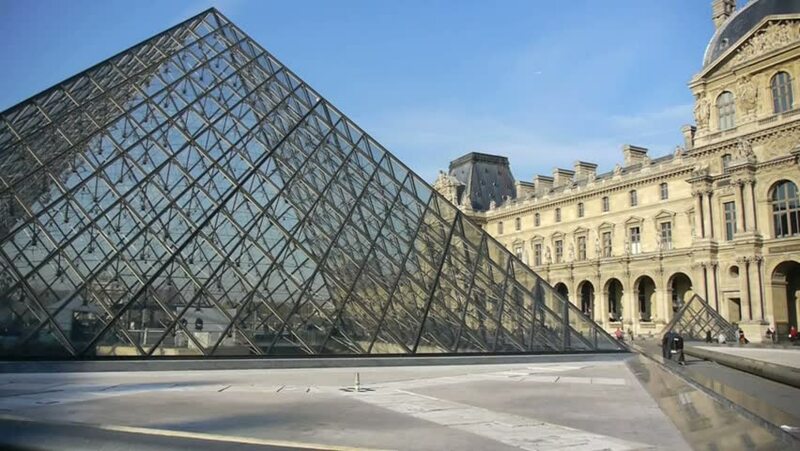 Louvre Museum is one of the largest and most visited museums worldwide. hd00:08FRANCE, PARIS - SEP 14, 2014 (Time lapse): People walk near basin, famous pyramid near the Louvre at night.